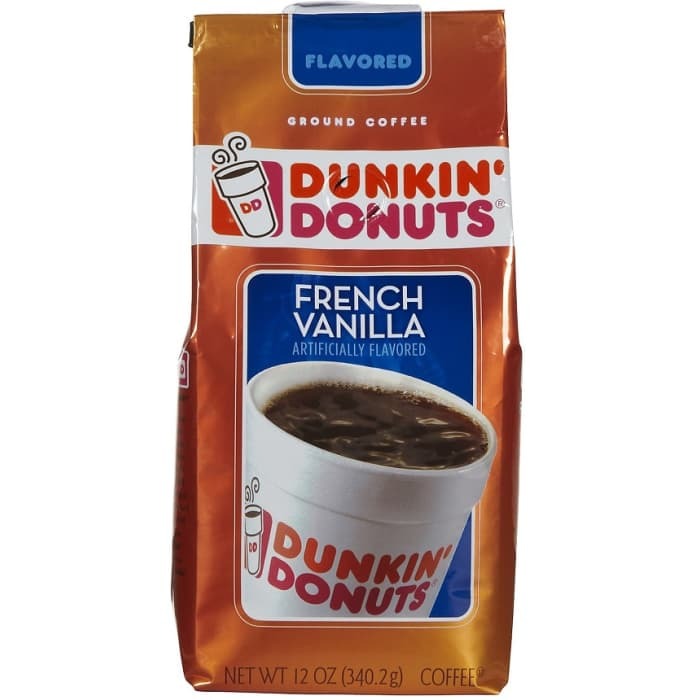 Enjoy fresh Dunkin' Donuts coffee at home with Dunkin' Donuts French Vanilla Ground Coffee. This 100 percent Arabica ground coffee is the same rich smooth coffee made from premium beans that you enjoy with your favorite donuts. Treat yourself and your guests to relaxing breaks with this French vanilla flavored ground coffee.